Except tasting awesome making vanilla icecream is fun and you can decide to infuse flavors into them, I once tasted Agbalumo flavored icecream and the taste was epic. I’d like to believe that everyone reading this has at one point of their life tasted icecream, maybe ecept the person is lactose intolerant. Pour 1 1/2 cups milk into a large saucepan. Cut vanilla bean in half lengthwise; scrape the seeds into the milk and add the pod. Heat the milk mixture over medium heat until steaming. Whisk egg yolks and condensed milk in a medium bowl. Gradually pour in the hot milk, whisking until blended. Return the mixture to the pan and cook over medium heat, stirring with a wooden spoon, until the back of the spoon is lightly coated, 3 to 5 minutes. Do not bring to a boil or the custard will curdle. Strain the custard through a fine-mesh sieve into a clean large bowl. Add the softened gelatin and whisk until melted. Whisk in the remaining 1 1/2 cups milk. Cover and refrigerate until chilled, at least 2 hours. 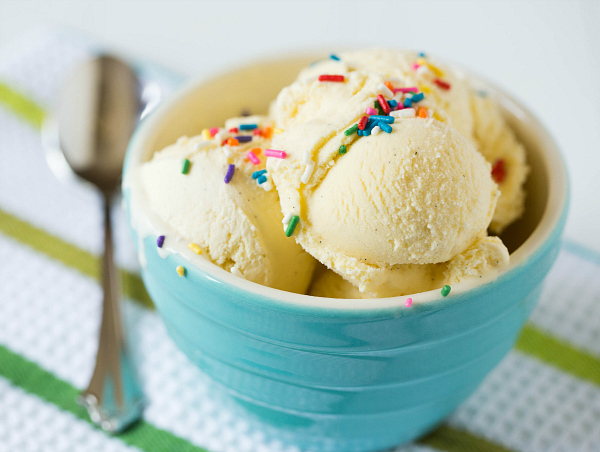 Whisk the ice cream mixture and pour into the canister of an ice cream maker. Freeze according to manufacturer’s directions. If necessary, place the ice cream in the freezer to firm up before serving.